I have been selected to be included in this show. I am thrilled, as one of my goals this year has been to be invited into exhibitions, So far this and the next show, Color Perspectives are by invitation only. Social Icing opens conversation between the creator and consumer. 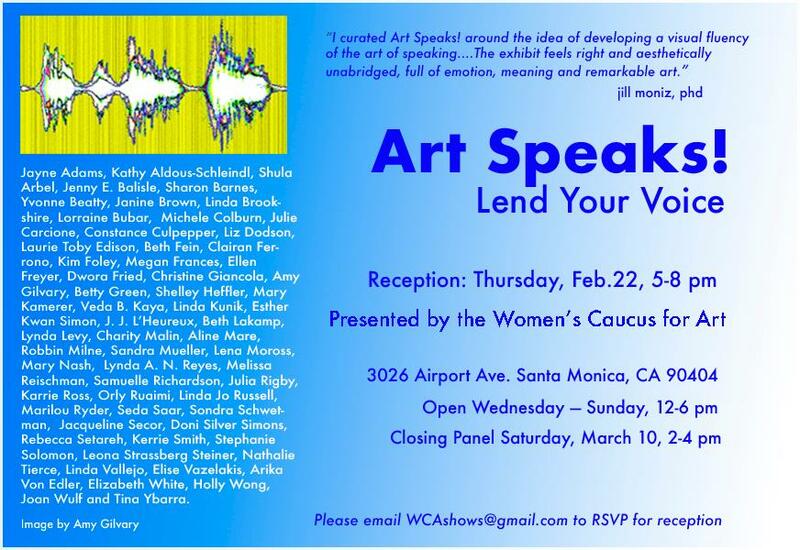 Through strong graphics/ configuration and powerful voices, the pieces exhibited in Social Icingspeak to the viewer. By bringing awareness to social issues and societal constraints, with an inviting, psychological environment, a new dialect evolves in order to properly communicate. The work in this show speaks to the community above the individual while rewarding each person’s diligence through the “Icing” of the work’s glamor. Opening February 20th runs until March 15th. My new rescued refuse art is the selection. Here is a link to the winners of this years 2018 event. I come bearing good news! You have been selected as the 31 artists for Kate Bryan's '31 Women' exhibition onsite at The Other Art Fair! We did a similar exhibition at the London fair last weekend which garnered tons of great press for the artists and the fair as a whole. Congratulations on this amazing accomplishment! We'll be in touch soon to request artworks for the exhibition. I have great news to share - you have been named must-see fair artists! We asked Danielle Krysa, LA selection committee member and writer/curator behind the contemporary art site The Jealous Curator, to select 5 LA exhibitors she is most excited to see at the fair. Her selections and commentary were published this morning on Saatchi Art's Canvas blog. You can read the article here. This news will also be shared across The Other Art Fair's social media channels, so be sure to retweet, regram and share this great accomplishment. Congratulations on being selected as one of the finalists for Art Comes Alive! You are one of the elites selected from nearly 2,000 works of art from across the country! Take a moment for yourself to embrace what an honor this is for you! You took a chance and it paid off! It must be such an amazing feeling to be recognized for your creativity and talent. I’m so excited for you! Good luck! located at 16822 Spring St. Fontana CA, 92335. ​The title of the exhibition Altered States, refers to the potential of art to lead the viewer to another sense of self and place. My artwork is an investigation in transformation, hence creating a reference to different states of being. This can be achieved through physical and spiritual means. My creative process centers on manipulating and deconstructing the traditional expectations of painting. I am concerned with functional concerns as well as the fragility of such. I work as an Alchemist, transforming a few humble materials into three-dimensional paintings which are imbued with their own history and aesthetic values. I want to capture the essence of a landscape, whether urban or global, into something transformative and tangible which is simple, hopeful and beautiful. I've been home for a week. The residency offered me the time to slow down and reflect on the work have I created in the past and my new work for the future. Thinking about my new goals, staying focused and being selective as to where I want to sell and show my artwork. So the first day I come home I see that one of my pieces was purchased for the permanent collection for Inglewood. Urban Quake will now be residing close to home. February is turning out to be a very busy month. As president of the SCWCA, we will be hosting the national conference in Los Angeles. Several exhibitions have been scheduled. Jill Moniz juried for our show at Arena One Gallery in Santa Monica. "Art Speaks! Lend Us Your Voice", is the theme. My altered art piece, Urban Decay was selected for this show. This piece has been a favorite of many people and surprised it hasn't found a home yet. 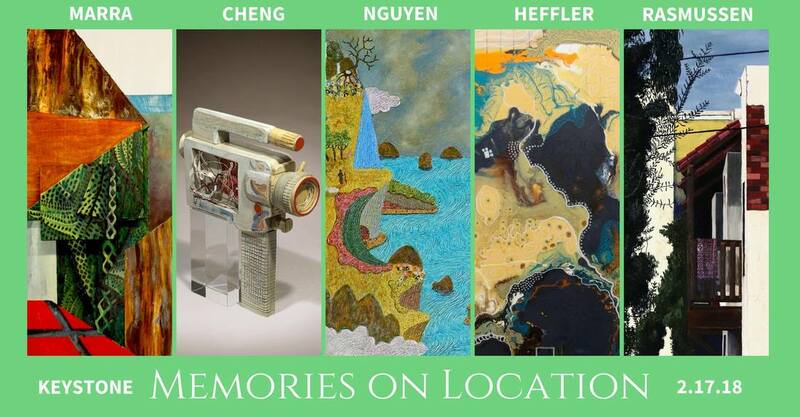 Christine Rasmussen invited me to a group exhibition entitled "Memories on Location", at the Keystone Galleries in Downtown, LA. And finally, received a notice today January 24th that my work, "Hurricane" was selected for the Group Show Trappings, at Gallery 825. ​Can this year get any better!